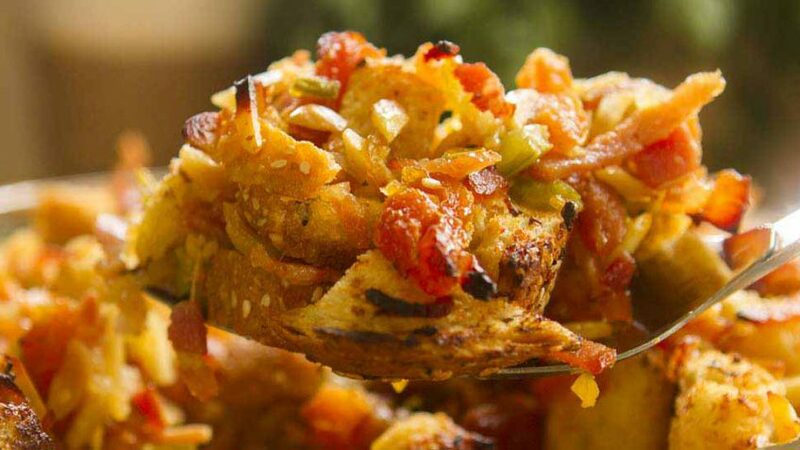 A simple and delicious way to stuff your turkey plus have enough to bake a crispy side dish. Perfect apricot stuffing for that Christmas or Thanksgiving turkey. 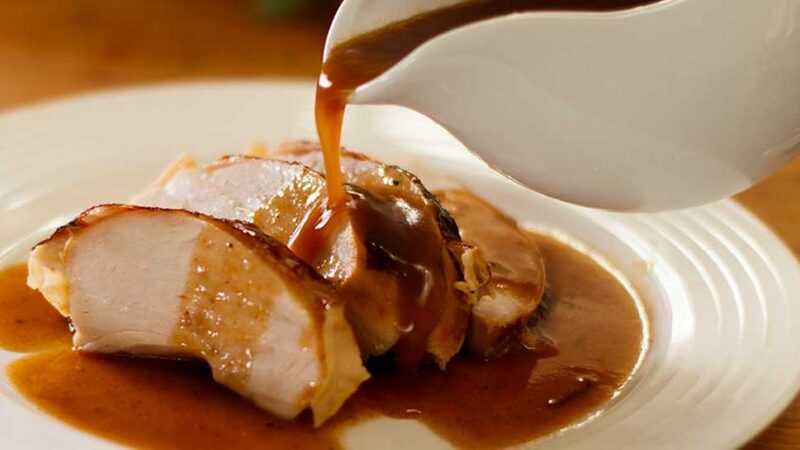 See further recipes for Christmas dinner ideas. Slice the loaf of bread and cut into dice (the rougher the better). Place on a baking tray and bake in oven for 15-20 min at 300°F – 150°C. Chop the celery fairly fine and keep aside. Peel and chop onions, keep aside. Slice the dried apricots, keep aside. Remove any bacon rind and slice finely, add to frying pan, turn on heat and sweat a little. Add the chopped onions and continue sweating. Add the fresh sprig of thyme leaves or use dried. Add the garlic, crushed. Add the celery. Add the apricots Add the chicken stock and season with pepper (bacon and butter should be salty enough) reduce until the liquid has almost all evaporated. In another frying pan, add the almonds and lightly toast on medium heat. Melt all the butter either in a saucepan or a microwave. Add the almonds to the stuffing mixture and mix well. Remove croûtons once cooked and add to stuffing mixture. Add all the melted butter, mix very well until all croûtons have absorbed all the butter. Leave your turkey stuffing aside to cool. 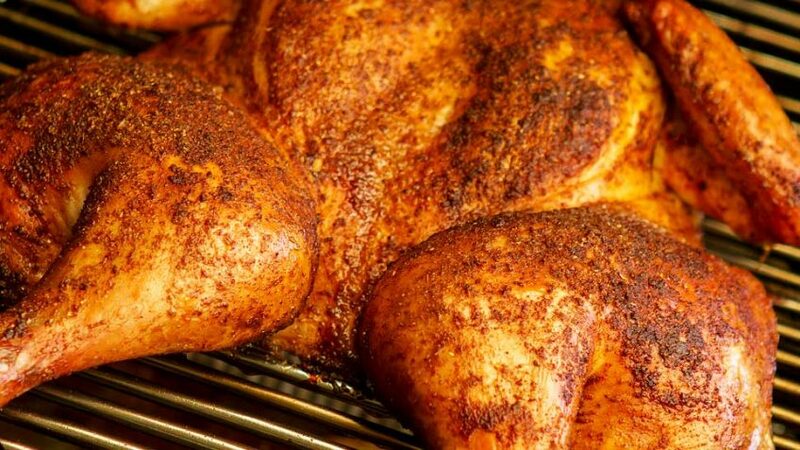 Place the rest in a baking dish and before serving, bake for for 30 min at 300°F – 150°C or until nice and brown on top. Always completely cool your stuffing before stuffing the turkey. 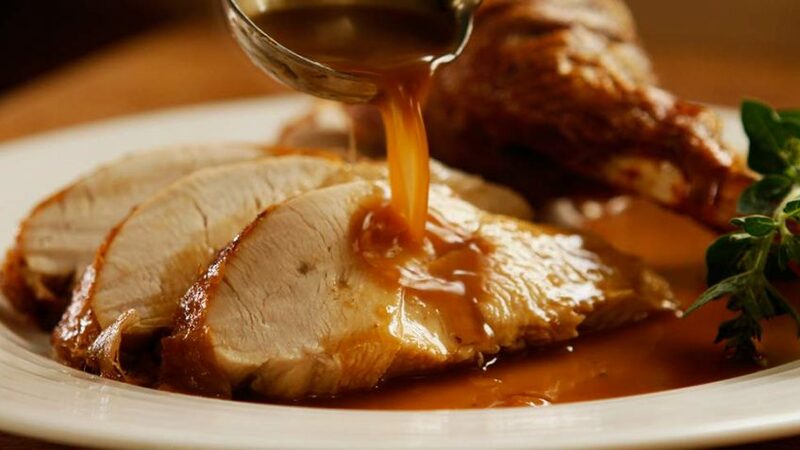 If stuffing the turkey cavity (I'm not a big fan) don't pack it tightly, just spoon it in loosely, and leave room at the top for the heat to circulate. 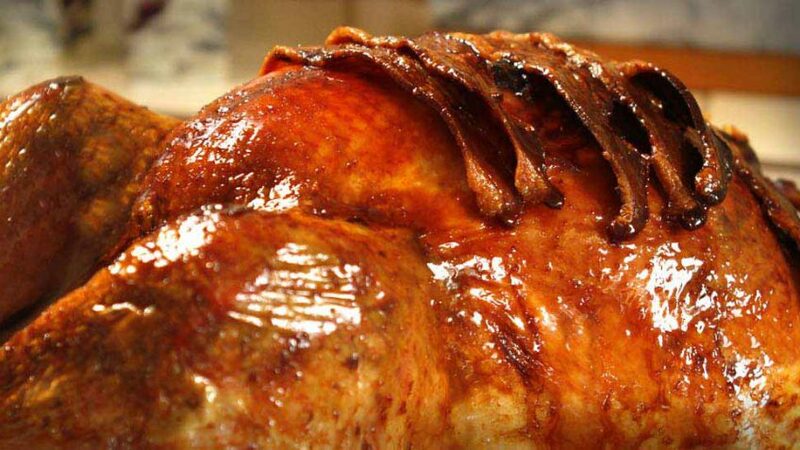 Also add stuffing to the neck of the turkey, and tuck the neck skin back under or use toothpicks if too short. 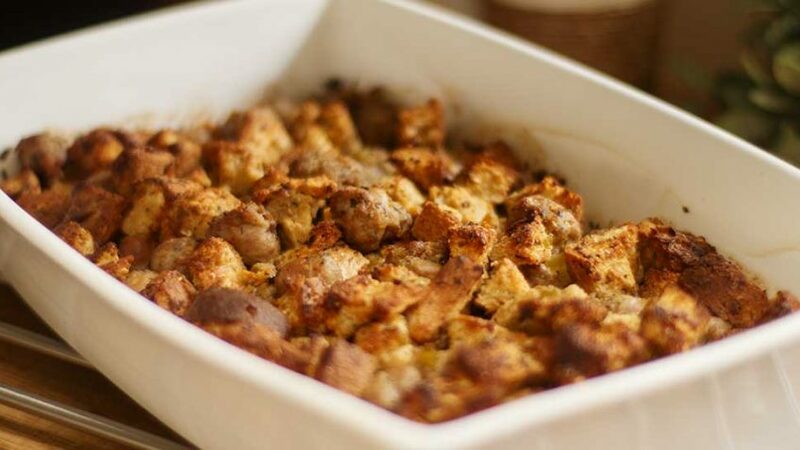 If using stuffing as a side dish, use a shallow and wide dish for maximum crunch (the top crust is the best).